"Greg′s analysis in Decoding the IT Value Problem is absolutely correct! Engagement of the CIO at the highest levels of enterprise strategy, along with the CIO′s ability to educate the rest of the C–suite about the real value of information technology, is the ′secret sauce′ that transforms IT from a cost drag into a profit center. Greg′s compelling examples and insights should be considered fundamental ′IT 101′ for key business leaders." If you′re a senior–level manager or executive responsible for managing IT value in your business, Decoding the IT Value Problem provides you with the practical and unique tools and tips you need for smart investment and savvy management of IT costs. 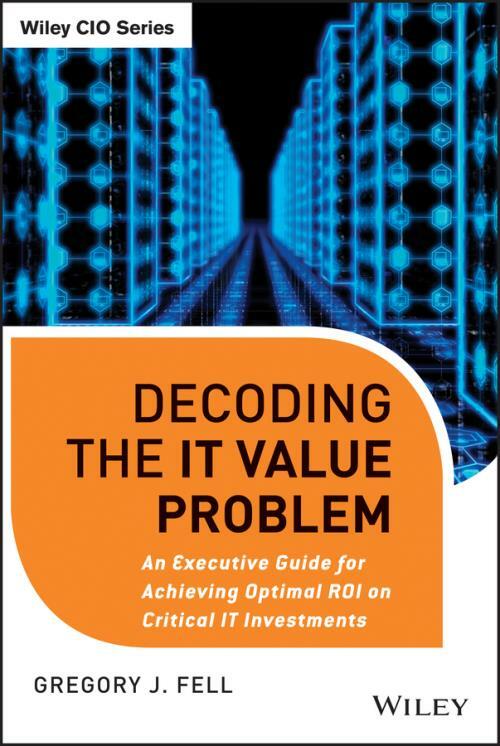 Read Decoding the IT Value Problem and learn how your enterprise can achieve optimal returns on its IT investments. GREGORY J. FELL is the Chief Strategy Officer at Crisply, an enterprise SaaS (software–as–a–service) big data company that pioneered the algorithmic quantification of work. Prior to joining Crisply in 2013, Mr. Fell served as vice president and chief information officer of Terex Corporation, where he led a strategic transformation of the IT organization. Before joining Terex, Mr. Fell spent nearly twenty years with Ford Motor Company. He started as a developer, and worked his way through a variety of management roles supporting the global engineering and manufacturing functions of the company. He has domain expertise on CAD/CAM/CAE systems, lean manufacturing, and control systems. He is a graduate of Michigan State University and spent several years on staff in the College of Engineering as a senior research programmer and instructor.